Commit to Georgia: Connie Hauser ’19 is pursuing the big picture. Connie Hauser ’19 has a passion for plants and ecology; her scholarship at UGA is allowing her to turn her passion into a career. 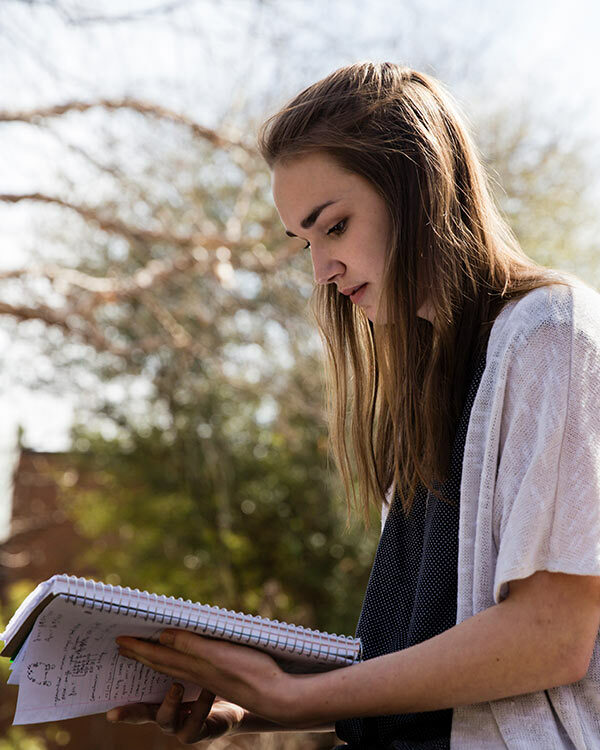 Connie Hauser ’19 conducted graduate-level research at the University of Georgia before she even entered college. This research solidified her passion for plants and ecology; her scholarship at UGA is providing the resources she needs to turn her passion into a career. As a high school student, Connie participated in the College of Agricultural and Environmental Sciences’ Young Scholars Internship Program, a summer internship for students interested in agricultural, food and environmental sciences. During her first summer, Connie worked with Dr. Zhenbang Chen at UGA’s Griffin Campus to identify different breeds of one of Georgia’s most important commodities: blueberries. The following summer, Connie traveled to the UGA Costa Rica Campus to learn about the sustainable practices implemented by coffee farms and banana plantations. Even before college, the Young Scholars Program allowed Connie to identify her passion for plants and her strong desire to conduct more research. 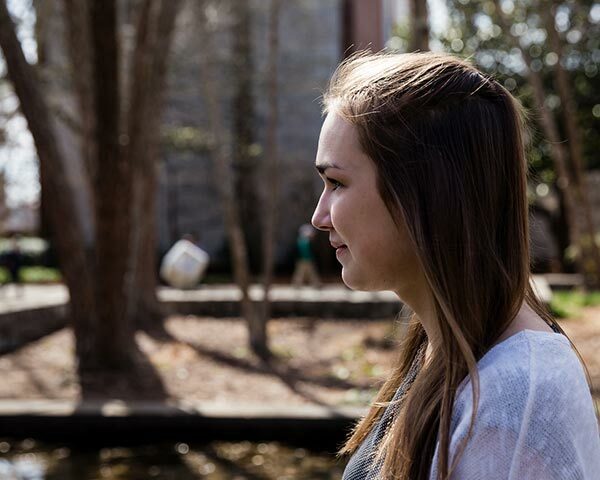 Now, as a student in UGA’s Odum School of Ecology, Connie has expanded her academic interests. She is pursuing an ecology major with double minors in horticulture and Spanish. By combining the practical skills learned in her horticulture classes with the more holistic ideas taught in her ecology classes, Connie is learning both how to care for plants and how they interact with other organisms in their environments. She hopes to carve out a distinct path for her future career. Connie has taken full advantage of the many opportunities, both in and outside the classroom, to further her knowledge in ecology and horticulture, and she attributes her ability to do so to scholarship support she’s received, including the Charter Scholarship. Charter Scholarships are funded, in part, by the collective generosity of donors who make annual, unrestricted gifts to UGA; the scholarships are awarded to recipients based on academic achievements and financial needs. “My scholarship has helped to relieve the financial stress that I would be under without it. Because I don’t have to worry as much about funding my education, I’ve been able to gain experience on a volunteer basis rather than focusing on paid positions,” said Connie. Connie is also involved in several student organizations that champion the causes that most impassion her. EcoReach sends Connie and fellow ecology majors to local elementary schools to educate students about environmental issues. She’s also a member of UGA’s Horticulture Club. One of her favorite experiences at UGA was competing as a team in the National Collegiate Landscape Competition in Starkville, Mississippi, in 2016. In May 2017, Connie will return to Costa Rica to complete the Tropical Ecology Maymester, through which she’ll participate in both lab and field work. Connie feels empowered to continue striving toward her goals.